Is anyone else in love with both pink and red this time of year? To be honest, I don't wear a lot of red, but if I do, it's between Christmas and Valentine's Day. 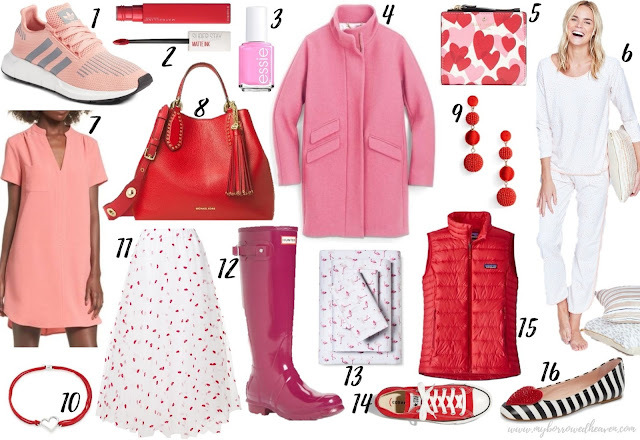 As for pink: any day, any time, anywhere, but especially looking ahead to spring. As I started creating this list, I was surprised at how many of my favorites were offered in both pink and red. I had to make some difficult decisions for my collage, but you can also find that Crepe Dress (#7 - shown in Tea Rose) in Burgundy Beauty, the Hunter Boots (#12 - shown in Violet) in Bright Pink and Military Red, and drop earrings (#9 - shown in Red) in Bright Pink. And then there are the details! 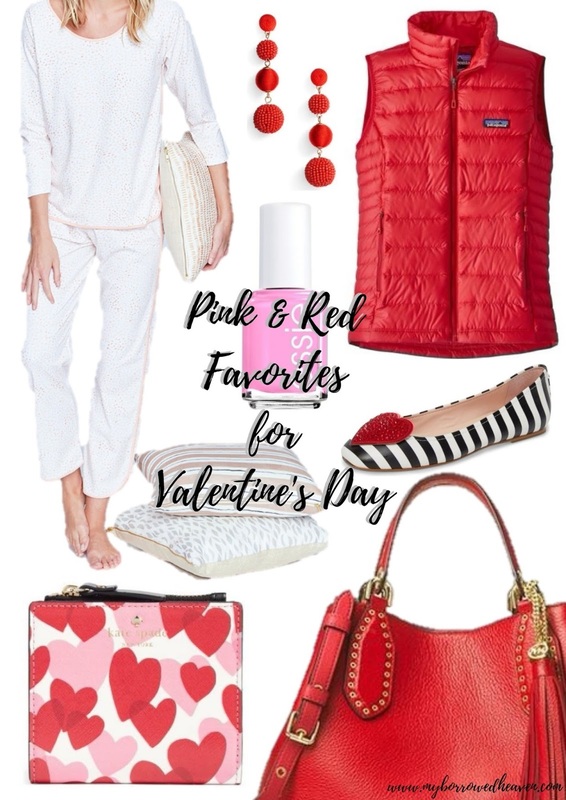 It's hard to see when you look at the full images above, but you have to click on the products to see the details on the Lake Pajamas (#6), that tulle skirt (#11), and the pink flamingo sheet set (#13). I love everything red- definitely one of my favorite colors to wear even though I don't wear a lot of it. Pink is growing on me this year though- that coat is so pretty! I need those pajamas, so cute! I love red and pink this time of year, wearing my red hunters tonight for the rainy parade! I adore those flats - how cute!!! I'm not much of a pink or red person, but this post makes me want to be! Love the red tassel on the bag. I'll try to wear red if I remember!! You guys doing anything special for it? I looooove those striped shoes with the heart! SO CUTE. I'm not a huge pink or red fan. I think it makes me look splotchy, which sux because it's all so cute! Such cute items!!! I love that vest!